Southwest Florida is served by all the major TV networks, several radio stations and major newspaper publishing companies. The local Naples – Marco Island media market includes billboards and some weekly community newspapers, journals and shoppers. Follow the links below for more information about southwest Florida media companies, radio stations, newspapers and television stations. 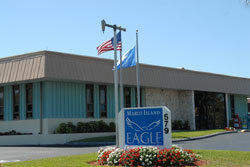 Ask us about Naples – Marco Island Media or share media reviews. To feature your business, contact us.